Classic italian restaurant with a large craft beer selection and a curated wine SELECTION. Phone orders are a relic of the past. Save time and earn rewards by ordering online. 200 beers to choose from. Did we say 200 beers? Yes, we did. When it comes to our beer selection we don’t joke around. We proudly maintain the largest beer selection in Garden Grove, and Anaheim, CA. From your favorite local craft beer to your everyday national beers, we got you covered. You have tried the rest, now try Carolina’s Catering. 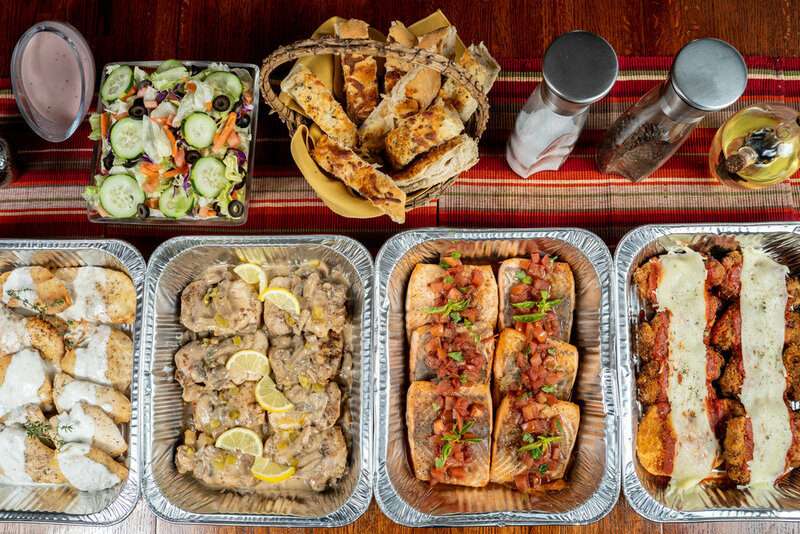 We offer party pans that include bread and salad. On-time delivery available so you have one less thing to worry about. Join now & get $10 off your next visit. Carolina's Italian Restaurant is one of the finest authentic Italian restaurants in Orange County with locations in Anaheim and Garden Grove. Carolina’s Italian Restaurant has been serving delicious Italian food in our family owned and operated location for over 35 years. For big or small events, formal or casual, business, fun or family gathering, Carolina’s Italian Restaurant is the perfect choice to enjoy large-party portions of your favorite hand–prepared Italian food and dishes. We offer delivery at both of our locations in Anaheim, CA and Garden Grove, CA. Place your order online. We don’t outsource our delivery. When you place your delivery order directly on our website, you can rest assured a trustworthy and service oriented Carolina’s employee will delivery to you.